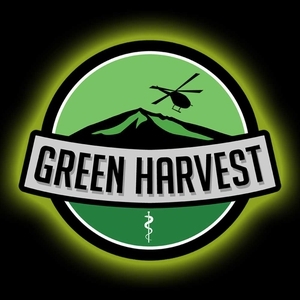 Sign Up for free to save time shopping Green Harvest's wholesale products on LeafLink. We are a company of marijuana enthusiasts, dedicated to producing the highest quality flower and prerolls in the state. We are constantly on the search for the newest and best strains, so keep your eyes open for top end products that you won't find elsewhere. Orange creamsicle is an amazing flower. Terps, strength, vigor and beauty. This flower has everything going for it!. Genetics by Unknown Prophet, this flower is a potent, flavorful cross of Cookies 'n Cream and Orange Tahoe. Trainwreck a sativa hybrid effects that hit like a freight train. passing on a sweet lemon and spicy pine aroma. 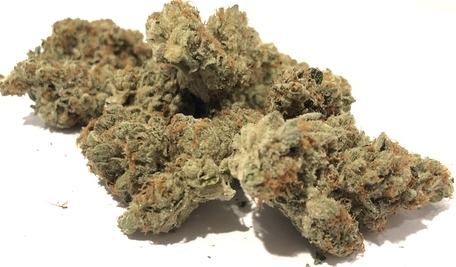 Trainwreck begins its speedy hurtle through the mind with a surge of euphoria, awakening creativity and happiness.many patients also use it for relief of anxiety, ADD/ADHD, PTSD migraine, pain, and arthritis. White Berry's hybridized genetics create a complex and versatile strain. The typical result is a sativa head effect with an indica-style body sensation when consumed in higher quantities. primarily delivers relaxing, sleepy effects alongside its earthy pine flavor.